The Department of Veteran Affairs and the quality of services it provides to veterans have come under scrutiny in the last couple of years. Extended wait times have come under review, as well as availability and quality of services provided. As a result, the department has taken important steps in order to improve the quality of services provided to veterans. Although there has been notable progress in the last couple of years, there are still steps that can be taken to improve the VA's operational efficiency. By implementing Lean strategies, improving current processes and leveraging technology the department will continue to be able to reduce redundancies, and advance veterans health care and benefits services. 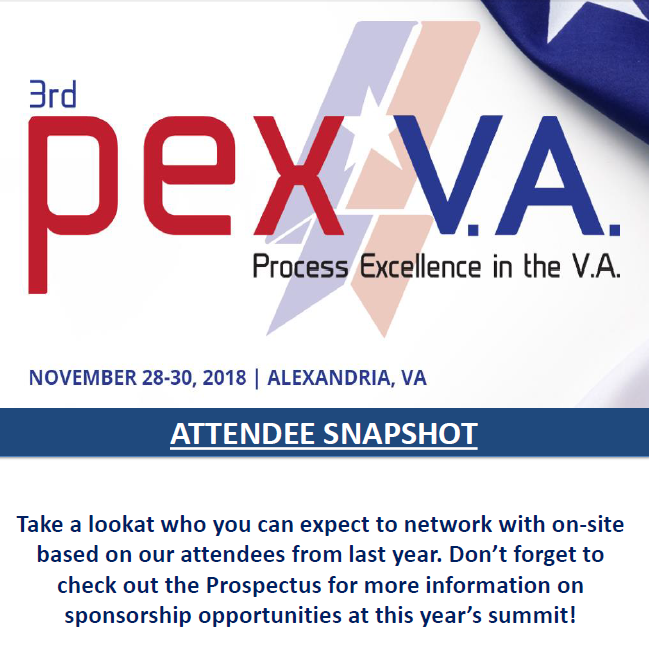 Process excellence initiatives will drive operational success and improve veteran satisfaction, and have become a top priority for the entire department. The VA is overhauling infrastructure, utilizing technology, and streamlining internal processes - all with the goal of improving veteran services. Do you provide a service or technology that can help them do this? 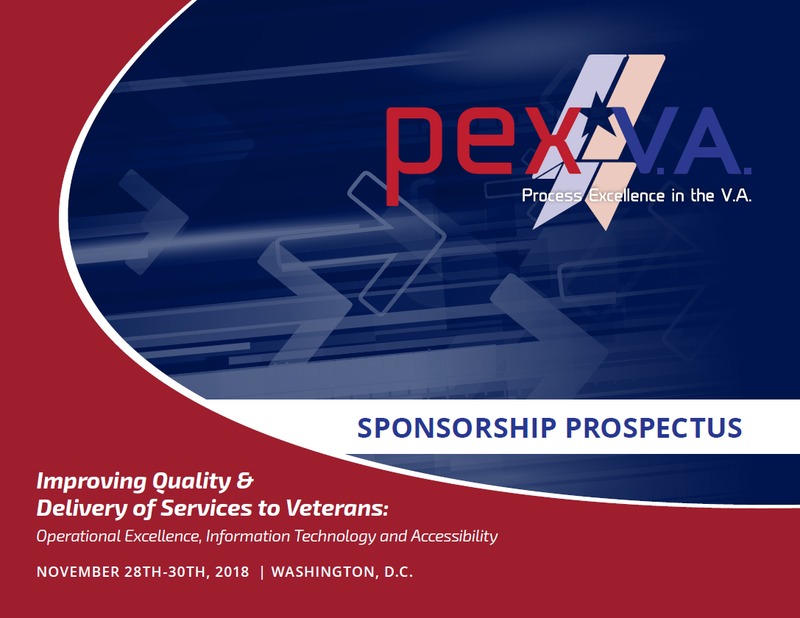 The 2018 Prospectus explores the top 10 priorities of the VA, Featured speakers, current challenges and solutions for the VA, Sponsorship Opportunities and more! Take a look at the list of Past Attendee Snapshot to see who you can expect to be networking with at this years event.